‘Step-‘, as in stepparents or stepchildren, originated in grief. Family structures have evolved, but are stepmothers now so tainted by fairytale associations with the word ‘wicked’ that we need new terminology? Lore’s Aaron Mahnke stops by to describe the lovelessness, literary tropes and life expectancy around ‘step-‘. 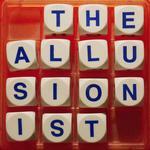 There is (a little) more about this episode at http://theallusionist.org/step. No "Randomly Selected Word From The Dictionary" this week! This was a great episode -- one of the best so far I think. I liked it's collage-y effect: Aaron Mahnke as the main guest and linking thread sewing together lots of collected clips.